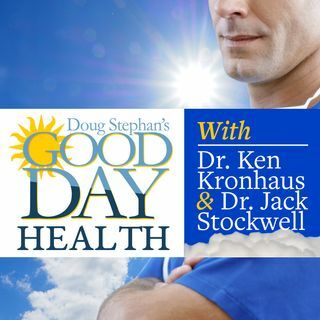 01/24/19 - Dr. Ken Kronhaus - Virtual Doctor Visits: Good or Bad? Host Doug Stephan and Dr. Ken Kronhaus review a new study indicating that men who have PSA tests have a 30% fewer chance of getting Prostrate Cancer. Next, a discussion of the concept of Virtual Doctors and how they might be the next wave of healthcare. Research is now showing that having an In vitro fertilisation baby doesn't increase the risk of birth complications. New outbreaks of Measles in Oregon, where parents have refused to have their kids Vaccinated. Plus, lots more information ... See More about maintaining your Good Health.